Picture on an imposing castle on the moor—the cavernous main hall, the fire roaring in the hearth, a bearded man reciting Burns, and the merry men home from the hunt enjoying a festive banquet. Now you, too, can savor the pleasures of just such a feast—and of simpler Scottish fare, as well—with this delightful cookbook, imported from Scotland, as your guide. These recipes for more than 170 authentic and well-loved dishes—using America, metric, and imperial measurements—will make it easy for any cook to prepare traditional Scottish foods. The recipes have been modernized, but the names remain lyrical, and the author’s observations offer fascinating glimpses of Scottish lore and history. 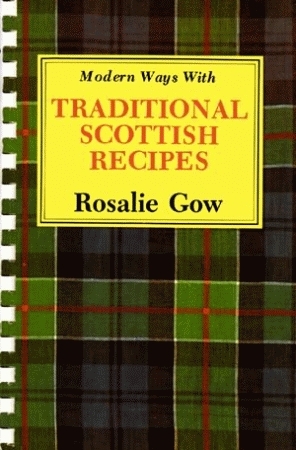 Author Rosalie Gow is a cooking columnist and caterer in her native Scotland.